If I’ve said that once over the years, I’ve said it a thousand times. In my opinion, it is best for agents to “Own their own content.” Of course, not everyone agrees with that statement and that’s ok. Heck, I’ll freely admit that it does not apply to all REALTORS. To clarify, I’m not talking about the stuff in your home, I am talking about your digital “stuff.” Sure, we mostly talk about real estate and home ownership here on my web site, and I certainly am a fan of REALTORS and non-REALTORS owning their own homes. But, for today, I am talking about our digital and online content. You know, web sites / blogs, photos, social networks, listing data and stuff like that. The kind of content that shows our expertise, content that shows we care, content that connects us to people we want to work with. If an agent doesn’t care to be found online, they can go ahead and “rent” everything from their broker or from any number of vendors. Own or Rent – The choice is yours. Both can be effective, depending how they are used. Of course, many will argue that there is strength in numbers and that “The Google” loves having massive amounts of content on a domain. They might also argue that it is pretty tough to compete against large companies who have millions in development dollars and massive departments dedicated to keeping these large sites on page one for any relevant web search. Each of those arguments have their own level of validity. So, is it even possible to compete with the big dogs? I have this conversation a lot, too. In my opinion, it’s possible but only if you are willing to put a LOT of work, dedication, blood, sweat, tears and probably some money into being found for search terms that are relevant to your business. For the vast majority of agents, it might be easier to buy “leads” from web portals instead of trying to be one of the 10 spots that show up on page one of a search result. BUT, if you want to be found online, it can be very rewarding. My advice would be to begin by trying to compete for less competitive key words than things like “your city” REALTOR or something like that. Start with specific neighborhoods, find a niche and own it, etc. Over time, you will begin to see results if you are consistent and learn the basics of how web sites are found by the average consumer who wants to live where you want to work. One of my favorite examples of people doing awesome things online is Ines Hegedus Garcia over at the amazing Miamism web site and blog. You want to find a home in Miami? She’ll tell you exactly what it’s like to live there, and she’ll tell you what is for sale or how the market is doing. I’ve been a BIG fan of the work she and Rick have been doing for a long time. Nicole Nicolay and Robyn Annicchero are doing some amazing things over in Livermore California. Their blogs, videos and social sites do an excellent job in telling people exactly why they Love Livermore! Over in Chicago, Shay Hata does an amazing job connecting with Chicago home buyers and sellers. Her community involvement and personal touch offer a unique perspective that are hard to beat, and her web site helps generate real business in a very competitive environment. Over in Georgia, Maura Neill can tell you what it is like to live in Atlanta better than all of the big box web sites put together. Maura and her team help people understand the location, lifestyle and market in their area, and their clients love them. These are just a few examples of people who create online content for their real estate success. I could list dozens more from other friends across the country who have decided that they CAN compete by working hard and creating great content that they personally own and control. Of course, I know of a LOT of examples of REALTORS who prefer to pay for leads from places like Zillow, Realtor.com and MANY others promising fortune and fame for any agent willing to write a check. Like agents who want to create their own content, many of these agents do very well, and they never have to write one blog post, send one tweet or worry about the next Google or Facebook algorithm change. Remember… No matter how you decide to be found online, don’t listen to some guru who promises to “get you on page one of Google” with some piece of crap template web site they want to sell you for $29.99 per month or one they want to give you for free. 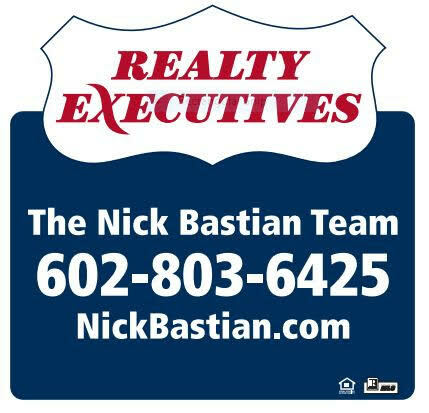 Believe me, that site or some lame single property web site with one home on it might rank for “four bedroom home with eight pink walls in Tempe on cul de sac lot” but it ain’t getting you to page one for Tempe Real Estate Agent or any real key terms that have a chance of building your business. So, if you want to own your own content or if you want to rent space from a social network or national blogging platform, just think about your business goals. Figure out your online strategy, your budget and how you want to spend your time. Heck, maybe you want to do both… I truly don’t think there is a right or wrong answer for anyone until they put some serious thought into how they want to run their business. You do want to run a business, right? Personally, I like to blog and I like to share information with my customers and clients. For many agents, that isn’t the right formula. If there really was a perfect formula for real estate agents, I’d probably be working on this blog post from the deck of my yacht instead of working on it from my office at 10:00 pm.